You have decided to move to New Jersey, but Jersey City just does not suit you. You looked at the map, googled the state and there was one place that you felt was calling you. Then, you took another look at the map and realized it belonged to the New York metropolitan area, but without the hustle of the Big Apple. One more look at the map and you realized that it had a direct connection to the Staten Island. From there, Long Island was a short drive over the bridge away. Looking towards the West, there were numerous highway connections to escape the city buzz. At the moment your view was clear and only one question remained: how to have movers Union County move you to that beautiful town. When you are moving in the Union County area, make sure to contact Vector Movers if you need any help! If you need one of the best movers Union County NJ has to offer on your side when moving, feel free to contact Vector Movers NJ! We are a professional moving company with years of experience behind us, always ready to take on new relocation projects! Our well trained and trustworthy moving specialists are fully equipped with tools and knowledge needed to make your relocation highly efficient. And, when you are planning on transferring your valuables locally, make sure you have one of the most reliable moving companies Union County NJ has to offer to help you every step of the way! You can always count on our movers Union County to show up on time and with the best equipment. What To Expect From Our movers Union County? We know how important it is to have competent people to rely on when moving locally. Every member of our relocation team had to go through a training program. That is the main reason why we can proudly say we have many moving specialists you can rely on! Our experience and years on the market behind us speak for us, so we don’t have to. Your safety is a priority for us, and that is the main reason why we think you should check our reviews and references. If you don’t believe us, you should believe thousands of our satisfied customers. Our movers Union County offer some of the best cost-benefit ratios that you will find on the market. Clearly, you would not want to spend your life’s fortune on a moving company. After all, that’s, more or less, something you have already done when you bought a house or office in Union County. Therefore, you will be looking to save as much money on the moving itself. Afterward, there will be another aspect of your new home to take care. Therefore, choose the affordability of local movers NJ and spend more on the quality of your life and the life of your family after you have moved to your new home. We know we are the most affordable moving company on the market. There are, however, cheaper options that you can opt for. Nevertheless, you should not let your move become someone’s guinea pig. You should be a valuable customer and that is how we will treat you. We will provide you with all of our expertise. On the other hand, you will feel happy you chose to do business with our Union County movers once it is all over. Choosing knowledge has always been the safest option. We take great pride in transparency in conducting our business. This means that we will provide you with a free estimate before you contract us. In case you do not like the terms, you will not be bound to work with us. Transparency in doing business with moving companies Union County also means that the price that we quote you is the final price. There will not be any hidden fees to pay. This way we will make sure you, as our customer, stay in your new home satisfied with doing business with us. On the other hand, we profit from this because of our reputation, which already precedes us, will get an additional boost. It is in our best interest to have you as a customer satisfied because future potential customers will, thanks to your satisfaction, turn to us. Our track record is spotless. It is our aim to keep it that way. For you, our customer, this means that when we move you, we will do it hustle free. All that you would have to do is tell us what we need to take. After that, you will be tasked with sitting tight and letting the professionals take care of the rest. Once we are done, we will make sure we leave you happy in your new home. 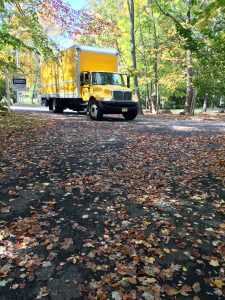 You can count on the best performance when you hire Vector Movers NJ. The key to any job that anyone does is experience. Every person or a company is subject to a learning curve once they get into the business. The main reason why you should work with us is that we have exited our learning curve a long time ago. Today, we apply all that we have learned in the past and we apply it from the very beginning. We have the knowledge and are not afraid to use it. Without credibility, all that we have written here would be for nothing. 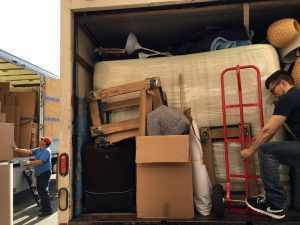 Luckily, there is a way of making sure you are working with credible movers Union County. There is a Yelp page dedicated to our company. Browse it and you will see why we are so confident in what we do. Our confidence comes from the results that we are proud of. They showcase our ability to successfully move you just like we have already done with our previous customers. Quality service provided by professionals in their field delivered in the safest way possible. In a world full of scams, there are never enough background checks you should perform in order to make sure you are dealing with the best moving company on the market. We are proud that we can say that we have all necessary licenses available in the moving industry. At the bottom of the page, you will find details about our certification and insurance. Speaking of insurance, it is very important to point out that you must make sure your moving company is insured. When they are, you will sleep soundly knowing that should anything happen to your items during the move, you will be compensated for it. Therefore, keep your eyes wide open and look for certification and insurance proofs. As we have already pointed out, make sure to run all background checks that you can. It’s better to be safe than sorry, right? Whatever you need, want or wish for when moving – we are here to provide. Give us a call, and let’s start planning your next step together!